RICHARDSON, TX (November 14, 2011) – The Hive Group, the world’s leading provider of treemap interfaces, today announced that the Johns Hopkins Center for a Livable Future (CLF) has deployed an innovative application–using technology from The Hive Group–that allows visual analysis of United States agricultural policy. The CLF is based at the Johns Hopkins Bloomberg School of Public Health, the largest school of public health in the world. The CLF built the application to allow the general public, advocacy groups, and policymakers to visually analyze budget details of the United States Farm Bill with clarity and transparency. The Farm Bill Budget Visualizer, available at www.jhu.edu/farmbillvisualizer, represents a powerful new mechanism by which specific expenditure categories may be analyzed, compared, researched, and monitored over time. Jim Bartoo, CEO of The Hive Group, calls the Farm Bill Budget Visualizer an “important step toward the increasing expectation of transparency around public spending.” Consistent with this theme, The Johns Hopkins Center for a Livable Future plans to deploy additional treemap applications to the public. The Hive Group develops business visualization software. Customers include major manufacturers, financial services organizations, logistics companies, retailers, natural resources companies, many government agencies, and military branches. These organizations use the software to build visual interfaces for routine operational and financial analysis. The company’s interfaces are used to analyze performance, visualize financial information, manage assets, assess risk and compliance issues, and more. 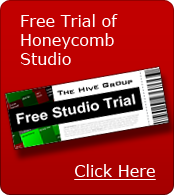 The company’s treemapping software, Honeycomb, is the foundation of these visual environments, and has been commercially available for over ten years.